LG has announced yet another amazing monitor at the CES this year. The LG 32UD99 boasts a beautiful borderless design at all sides with HDR10 compatibility, USB type C port, and FreeSync technology. There is no doubt that the forthcoming 32-inch monitor with 4K resolution and HDR will appeal to everyone from the professional designers to the gamers. The price and the release date are unknown at the moment, but we will share with you the information we have so far. More and more monitors are beginning to support the HDR (High Dynamic Range) which delivers wider colors spaces and a deeper contrast ratio in order to suit the content of the latest movies and video games. The color gamut amounts to 95% of the DCI-P3 color space which is a much wider color range than the usual sRGB, however, we still don’t have the information on the actual sRGB and Adobe RGB color spaces. The 10-bit IPS panel of this monitor will undoubtedly deliver flawless and vibrant picture quality with 1.07 billion colors along with the perfect viewing angles of 178 degrees both horizontal and vertical. Such persistent and accurate colors of the panel along the HDR10 and DCI-P3 color space will not only appeal to professional designers but to gamers as well. Although the only consoles that support the HDR at the moment are the PlayStation 4 Pro and Nvidia’s Shield ATV, that is certain to change soon. Besides, the LG 31MU97 supports 97% of the DCI-P3 which means that LG clearly intended the LG 32UD99 for a wider audience. The response time of 5ms is expected from an IPS panel monitor. The LG 32UD99 will also have the usual LG game mode features including the Dynamic Action Sync which reduces the input lag and the Black Stabilizer which enhances the view in the very dark parts of video games. 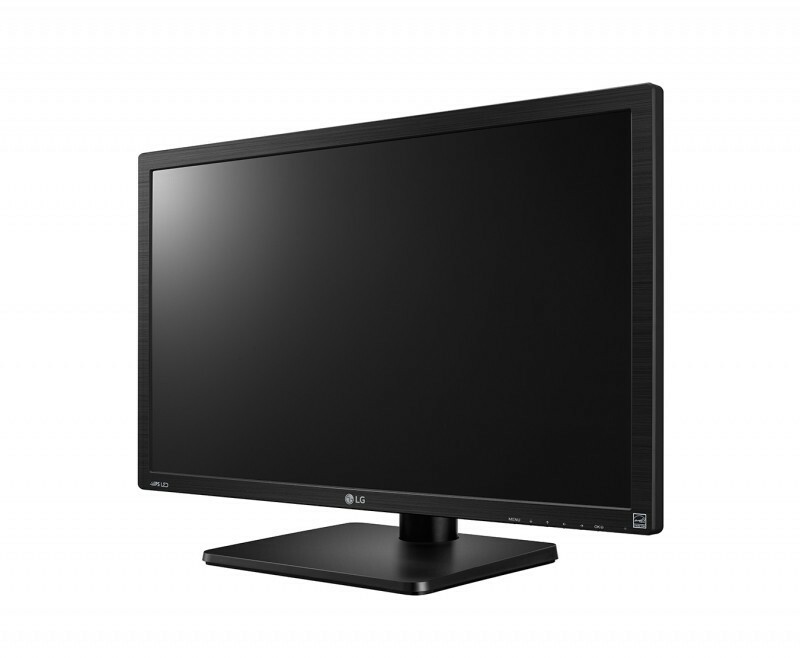 In addition, the LG 32UD99 will also offer the FreeSync technology which allows you to connect your compatible AMD graphics card to the monitor through the DisplayPort. By doing so, you will gain a more steady frame rate in the 40Hz – 60Hz range as the FPS will be synchronized between your monitor and the GPU. As far as the standard LG features are concerned, the LG 32UD99 will also have the Reader Mode. This mode allows you to adjust the levels of the harmful blue light which along with the flicker-less screen results in comfortable viewing experience no matter the hours spent looking at the screen. In addition, the color weakness mode will also be available for those who can’t distinguish certain colors. The LG 32UD99 will also feature two Rich Bass 5W speakers. Continuing with the old but gold features of the LG monitors, we will also have access to the trademark On-Screen Control, Dual Controller, and Screen Split features. Once you get used to these features, you simply don’t wish to use any other monitor without them. Firstly, the On-Screen Control allows you to adjust all your preferred OSD settings in a desktop application rather than by the OSD buttons. Secondly, the Dual Controller makes the connecting of multiple devices to the one screen a breeze. Lastly, the Screen Split feature offers you the ability to split your screen into 14 different screen variations, making multi-tasking activities as simple as they can be. A picture is worth a thousand words. This beautiful border-less at all sides design will certainly deliver an amazing and cinematic viewing experience. The stand includes a curved and slim ArcLine base which resembles the common LG ArcLine design, but it is a bit shorter. The LG 32UD99 will be available in two variants, the LG 32UD99-W with a silver stand, and the LG 32UD99-P with a black one. This amazing HDR monitor’s ergonomic functionalities will include the ability to tilt for 17 degrees, pivot clockwise by 90 degrees, and it will be height adjustable by 110 millimeters. 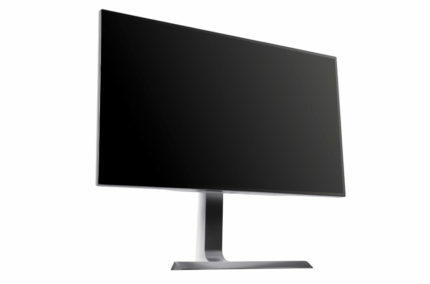 The screen of the monitor will be coated with an anti-glare 3H matte finish. Moreover, it will be VESA mount compatible with the 100mm x 100mm pattern. The LG 32UD99 will feature the USB type C port which is capable of streaming the 4K display, charging a laptop, and transferring files – all at the same time. Besides the USB-C port, it will also have a DisplayPort 1.2 for the FreeSync feature, two HDMI 2.0a ports, and two USB3.0 downstream ports. 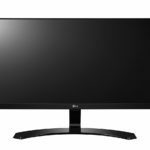 Another interesting LG monitor that’s been announced prior to the CES 2017 and should be released sometime in January this year, is the LG 34UM79M with a built-in Chromecast ability. It’s safe to say that the LG 32UD99 is anticipated by many and that it will appeal to a wide range of consumers from the professionals to the demanding gamers. Although the precise information regarding the Adobe RGB and sRGB color spaces are still unavailable, the 95% cover of the DCI-P3 with HDR will make this monitor ideal for content creating as well as enjoying it. Thanks to the quick 5ms response time, the FreeSync technology, and the awesome LG gaming features such as the Black Stabilizer and the Dynamic Action Sync, gamers will be able to enjoy a smooth gameplay with an astonishing image quality. 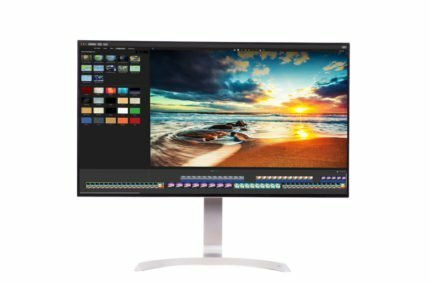 The LG 32UD99 monitor has been released now and costs about $1000. You can buy the display at online retailers, such as Amazon via the link below. 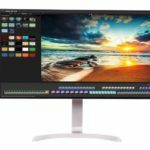 The LG 32UD99 promises us an amazing 4K resolution picture quality with HDR10 range of colors and contrast that will appeal to both gamers and professional designers. The USB type C port takes the connectivity to the next level while all the good old features of the LG monitors are present in the LG 32UD99 as well. Did you actually review a unit, or is this just basically an advertisement? Neither. Basically an overview. I would say advertisement, however they list just about every new monitor. I want smaller monitors, idk what is happening with these giant monitors…. Its really too much. Then stick with 1440p. There are plenty of 4k 27″ and anything below that 4k is useless for. Id say 34″ for 4K would be the sweet spot. 1440p is not a video resolution. also for workloads its much smaller in terms of what can be put on a screen. 4k displays need to be larger than 27″. Try using 4k with a 27 inch. Great for images/video but good luck reading what the name of the file is or your email!